The new page will appear in 3 seconds. 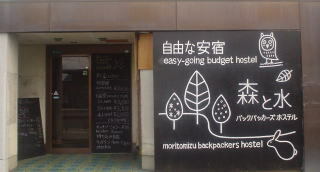 Many foreign guests visit Monkey Park from our hostel. The easiest and fastest way is to take a straight bus. A cheaper way is to take a train and then a bus or walk a long way. Buying round-trip ticket, you can enjoy public bathhouse near the train station. Good train view from the rooftop and guest rooms. 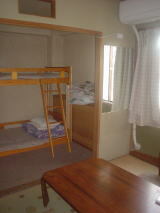 A cheap, convenient, comfortable hostel at 5 minutes' walk from Nagano Station. These show the rates per person per night. Ask us about luggage storage. Copyright(C) 2011 Moritomizu All rights researved.